Fibromyalgia is a disorder that causes aches and pain all over the body. It is a chronic (ongoing) condition of pain, stiffness, and usually fatigue. The condition affects several million people, and is usually diagnosed in middle age, although symptoms may start at an earlier age. It usually occurs in women, but men and children can have it as well. Women who have a family member with fibromyalgia are more likely to have it themselves. It is not known if this is due to hereditary or environmental factors, or both. Pain is the main symptom. The aches, pains, and stiffness in muscles, joints, and soft tissues vary from day to day or week to week. The pain also tends to move from one part of the body to another. It is most common in the neck, chest, arms, legs, hips, and back. People with fibromyalgia also are tender throughout the body. The tenderness is most noticed at certain places called tender points, also known as trigger points. Tender points are specific places on the neck, shoulders, back, hips, arms, and legs. These points hurt when pressure is put on them. The symptoms may get worse when you overexert yourself or when the weather is damp and cold. 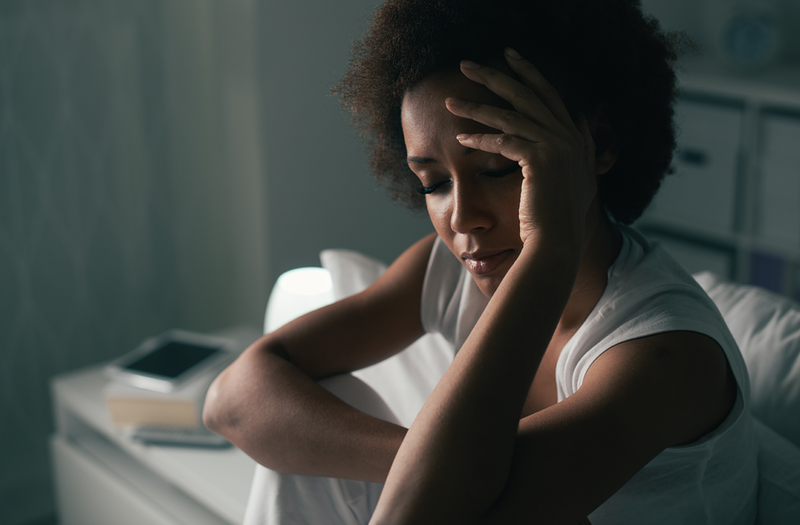 Younger adults with fibromyalgia are more likely to have chronic headaches, anxiety, and symptoms worsened by weather, mental stress, or poor sleep. There is no single diagnostic test for fibromyalgia. Your health-care provider will ask about your medical history and your patterns of symptoms. He or she will examine you, looking for places that are tender. There is no approved medicine that can cure fibromyalgia. The most successful treatment for the condition is a healthy diet, balanced exercise, and rest. Pain medication is not useful and can cause harm. The diet should include a large variety of fruits and vegetables. These foods provide the body with trace elements and minerals that help the muscles. Also, the fibre in fruits and vegetables helps the digestive system. Exercise affects the levels of many biochemicals in the body, particularly in the nervous system. 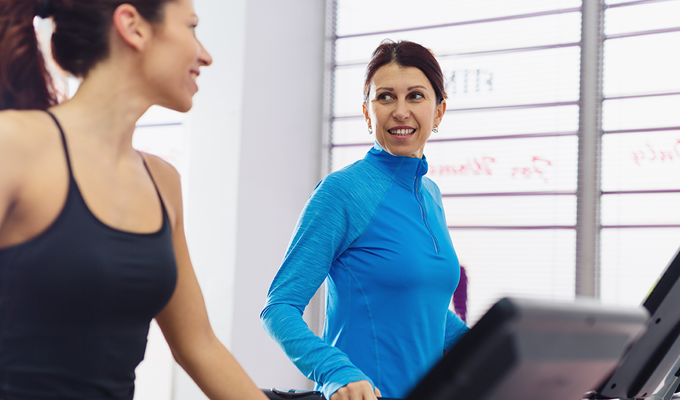 This may be why symptoms of fibromyalgia often improve when people exercise regularly. Because much of the pain of fibromyalgia is in the muscles and joints, you should begin an exercise program gradually, as recommended by your health-care provider. Include good warm-ups and cool-downs. Do types of exercise that do not hurt your joints. Rest is as important as diet and exercise in the treatment of fibromyalgia. Make sure you get enough restful sleep. In the evening, avoid stimulating foods and drinks (such as coffee) and certain medicines (for example, decongestants). If diet, exercise, and adequate rest do not relieve your symptoms, your healthcare provider may prescribe medicine. The drugs might include antidepressants (which can help relieve pain, even without depression), muscle relaxants, and anti-inflammatory drugs. Your provider can also help to find other ways to reduce your pain and fatigue. For example, you may benefit from heat or massage therapy or a home exercise program recommended by a physical therapist. Fibromyalgia is a chronic problem. The symptoms sometimes improve and at other times worsen, but they will probably continue for months to years. Although the illness can produce much discomfort, it does not progress and get worse and it does not shorten your life. Get regular exercise, according to your health-care provider's recommendations. Eat a healthy diet that includes a lot of whole grains and a variety of fruits and vegetables. Make sure you get enough sleep at night. Avoid doing too much at one time. Break up daily activities with periods of rest. Treat painful areas with a heating pad on a low setting or an ice pack wrapped in a towel. Try to practice new ways to react to pain and manage stress. For example, try relaxation exercises or meditation. Or a therapist may be able to help with cognitive behavioral therapy. If your provider recommended or prescribed medicine, take it exactly as directed. How can I help prevent fibromyalgia? There is no known way to prevent fibromyalgia. However, as with many medical problems, staying as healthy as possible with regular exercise, a good diet, stress management and enough rest may be the best prevention. This column originally appeared in the March/April 2011 issue of Wave. The information for this column is provided by Health Links - Info Santé. It is intended to be informative and educational and is not a replacement for professional medical evaluation, advice, diagnosis or treatment by a health-care professional. You can access health information from a registered nurse 24 hours a day, seven days a week by calling Health Links - Info Santé.